With So Many Choices, Which Is The Right Tire Or Wheel For You? 2008GuideReinventing the wheel is what the wheel companies have been doing for years. Custom wheels have become the ultimate automotive accessory and are on an entirely different level than back in the day. There was a time when your car was equipped with humble pieces of steel called hubcaps that attached to the stock wheel; some of which were not very attractive. If wheels were dressed up at all, they were fitted with dog dish-shaped hubcaps and chrome trim rings, or maybe, if an owner had a true sense of style, cross-bar or spinner wheel covers. Then came aftermarket mag wheels and wire wheels, but today, the sky’s the limit, and the tire and wheel choices are endless. More Knowledge Means More OptionsIt’s easy these days to find out basic information from “plus size” (a size larger than stock) rim options for any vehicle to rolling on smaller wheels. Don’t be scared to ask about rolling on 13s or 34s when you go to a wheel shop. You should ask as many questions as possible. Many retailers both online and in stores should ask for your vehicle’s year, make and model, then they should show you the wheels that will fit. Next on the agenda is to look for your application of wheels. For starters, wheels will be divided into car and truck/SUV designs; that’s easy enough. The next question will be: is your vehicle front-wheel-drive (FWD) or rear-wheel-drive (RWD)? Rear-wheel-drive rims tend to have a deep dish (or, in technical terms, a zero or negative offset). Front-wheel-drive rims tend to have a very shallow dish (or a positive offset) to clear the brake calipers and various suspension components. Offset is the distance from the center of a wheel to its mounting surface (i.e., the place where it bolts to your vehicle’s axle hub). The lower the offset, the closer the mounting surface is to the inner edge of the wheel. The higher the offset, the more space there is inside the wheel, behind the mounting surface. You also need to know your vehicle’s bolt pattern, so you can buy wheels that will bolt right on. Backspacing is the distance between the innermost edge of a wheel and the mounting surface. Backspacing and offset affect whether the wheel will fit within your vehicle’s wheelwell or stick out beyond the fender. It will also affect the “bearing load” path. In general, you want your wheels to be as far out to the sides as possible, as long as they aren’t rubbing against the wheelwells when your suspension compresses; especially important with hydraulics or air ride. Placing the wheels out to the sides gives you a wide stance for improved stability and handling. If the new wheels and tires extend beyond the wheelwells, some states mandate the addition of fender flares or fender extensions to cover the tires; some states even require the use of mud flaps. Lose Some Weight/Better StoppingSome wheels are considerably heavier than others, and wheel weight does matter. Simply put, the lighter the wheels, the less effort it takes a vehicle to accelerate and the better its ride quality will be. As a rule, two- or three-piece wheels are lighter than one-piece designs. And steel wheels typically are much heavier than aluminum. Steel wheels also usually are stronger than cast or billet aluminum wheels; however, forged aluminum wheels can be extremely strong enough strong enough for off-road racing. If you really want to get extreme, there’s a set of carbon fiber outer wheels that were for track purposes only that started off at $14,000 a piece and could be added to your three-piece wheels for extreme lightness. The Forcella from Forgiata is available in the sizes ranging from 19- to 26-inch and is available in any combination of finishes that you can imagine. Available offsets include -25 to +100. These wheels could be custom built to fit any car and match any finish. Find out more about Forgiato wheel applications at www.forgiato.com. Dvinci’s one-piece Havoc series wheels are available in the following sizes-20×8.5/10, 22×9.5, 24×10 and 26×10-and with a chrome finish. 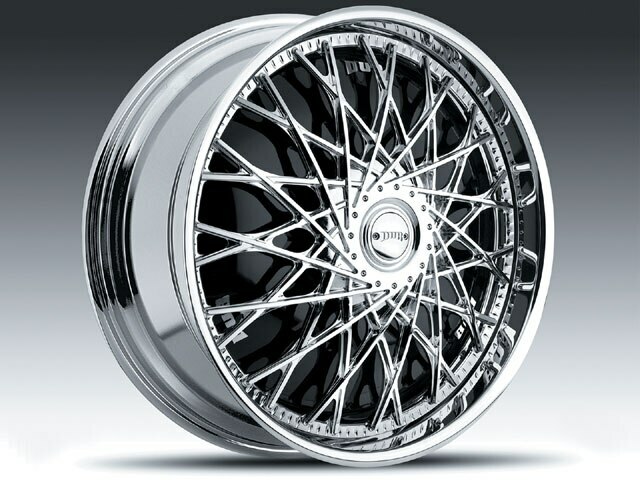 To learn about this and other Dvinci wheels log onto www.dvinciwheels.com. The Diva from Hipnotic is available in 22- to 26-inch sizes for your SUV or truck, and in chrome or custom colors. Become mesmerized by this and other Hipnotic wheels at www.hipnoticwheels.com. 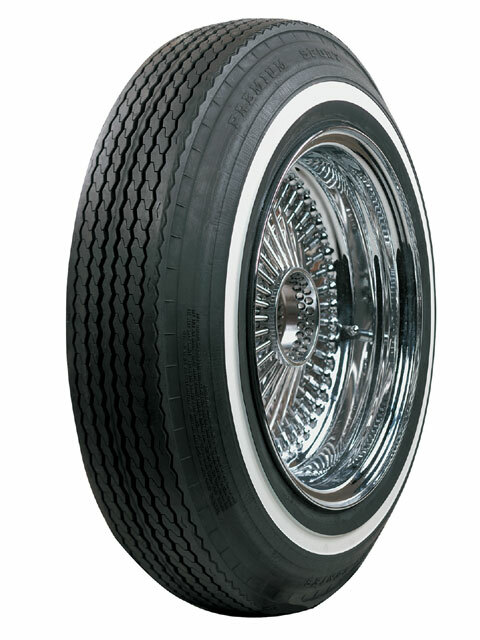 Dub Wheels’ Bomber is a unique one-piece, five-lug wheel available in 18- to 20-inch sizes. 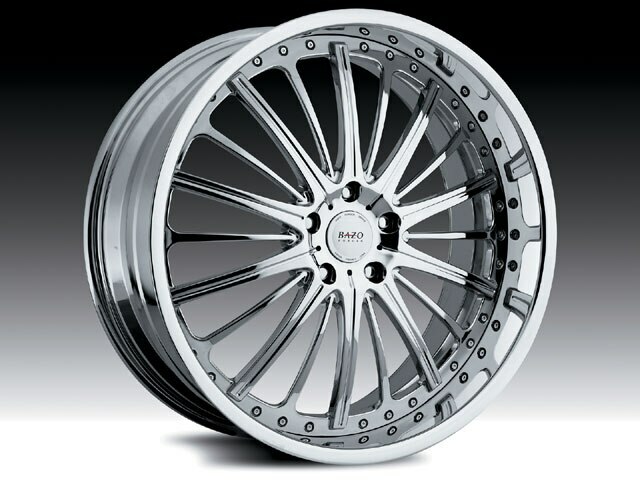 Get the details on all Dub wheels at www.mhtwheels.com. Dub Wheels’ Grail spinner wheel is available in 24- to 26-inch sizes. 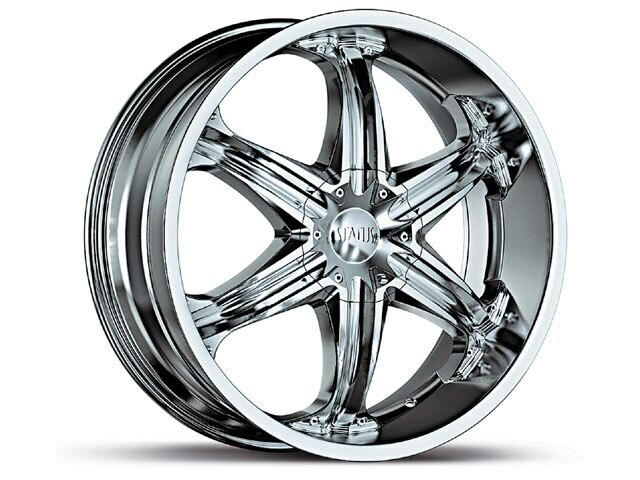 Get the details on all Dub wheels at www.mhtwheels.com. 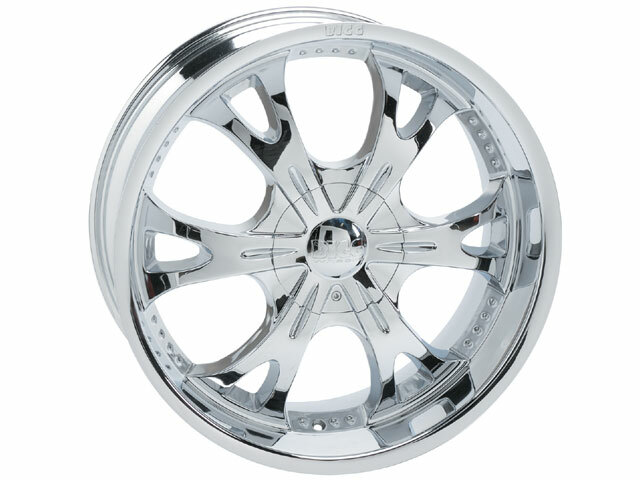 ZX10 is a cool 22-inch wheel with a chrome finish and chrome, hyper silver or black inserts. To learn more about this and Zyoxx wheels zip over to www.zyoxxwheels.com. 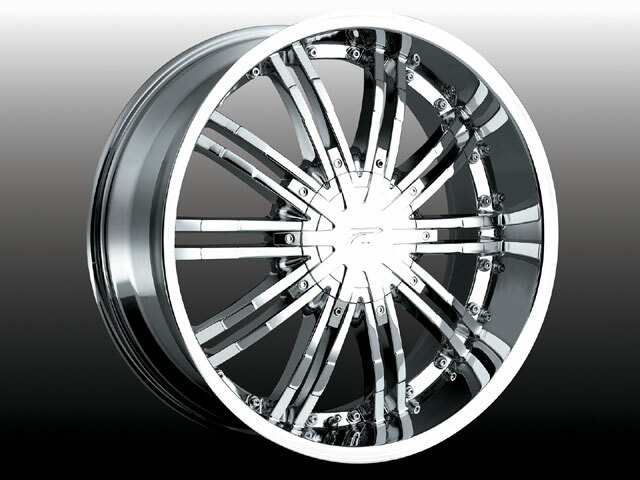 The ZO4 from Menzari Street Concepts is available in 18- to 22-inch sizes and with either a chrome or gloss black finish. You won’t be sorry when you log onto www.menzari.com. 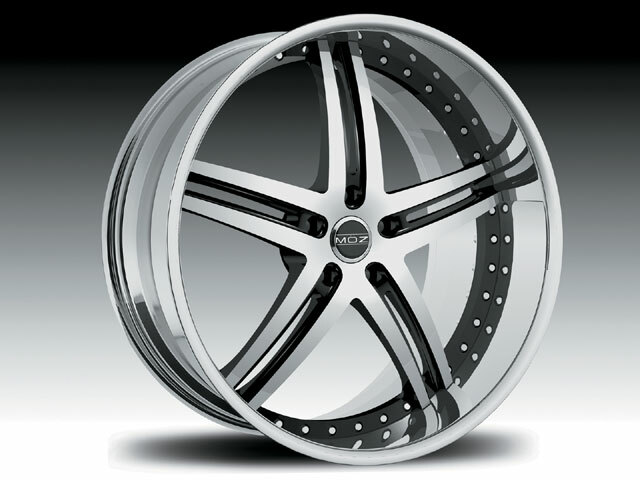 Zoe Wheels’ Yaffa is available in a 22- to 24-inch sizes, and with a chrome, silver or custom finish. To learn more about this and other Zoe wheels cruise over to www.zoewheels.com. 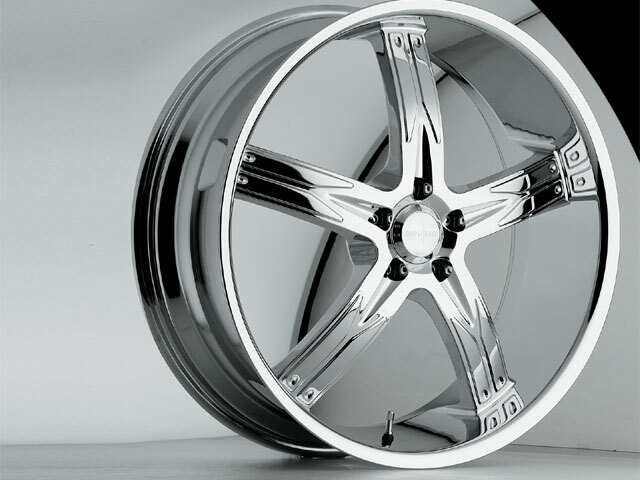 Diablo Wheels’ Phantom is designed for your favorite car or truck and is available in 20-, 22- and 24-inch sizes. Get all of the devilish details at www.diablowheels.com. Status Wheels’ Patron S308 will get you styling on the road with 20- and 22-inch applications. 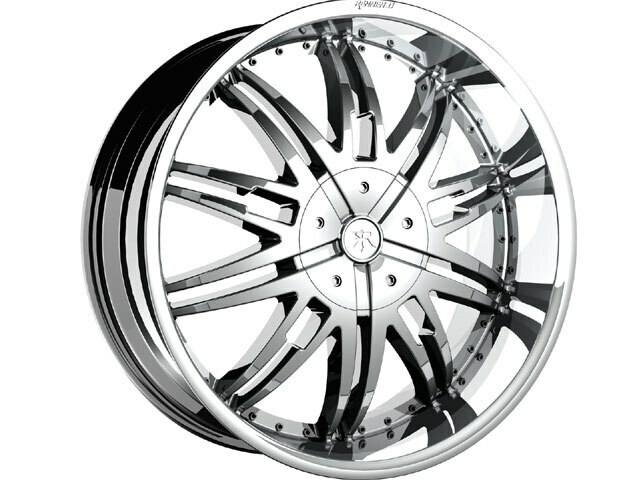 Increase your status at www.statuswheels.com. Bazo’s B403 is available in 20- and 22-inch sizes. These two-piece modular luxury wheels are available in gloss black and chrome finishes for your passenger car and SUV applications. To learn more make your way to www.mkwalloy.com. 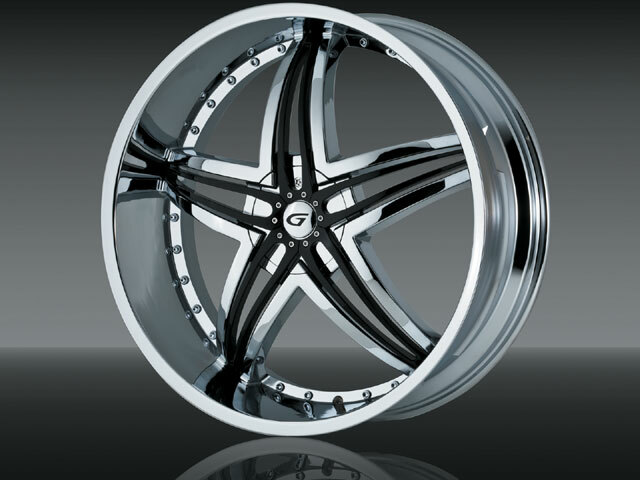 The Blitz from Gianna Wheels is available in sizes that start at 18 and go up to 26 inches. Get the full story at www.giannawheels.com. When you swap to a “taller” (larger) wheel than stock, you make it possible to fit larger disc brakes on your vehicle. Installing larger brake rotors will help bring your vehicle to a stop sooner. Plus, they will enhance braking control. Of course, many people swap to bigger brakes simply because they look better behind big wheels, especially wheels with a very open design. Some people choose slotted, cross-drilled or zinc-plated brake rotors, as much for their “cool factor” as for the potential performance improvement. Choosing The Right FinishWheels are available in a variety of finishes, you should pick something that best reflects your needs. They can be plated, polished, anodized or powdercoated; some need more maintenance than others. 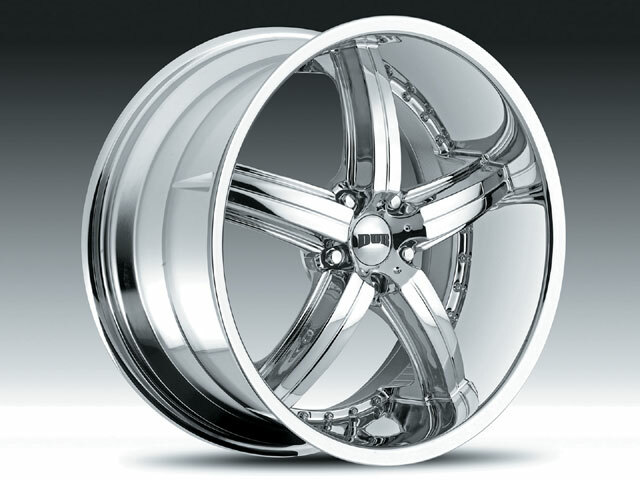 If you like shiny rims, you have a choice between polished and chrome-plated aluminum, or steel wheel finishes including silver or gold plating. Some companies offer their rims in any color you’d like. These wheels typically are powdercoated or painted, but some colors (including matte black and bronze) are available as an anodized finish. Of all the options, polished bare aluminum wheels require the most maintenance, since they can become oxidized and require re-polishing. That’s why many polished aluminum wheels are finished with “clearcoat” paint these days. As a rule, plated, painted and powdercoated wheels need only regular washing (and sometimes a good wheel cleaner to remove built-up brake dust). One important thing is to read the manufacturer’s recommended cleaning instructions. Some of the wheels can react to some of the chemical cleaners that are out in the market ruining wheels. Don’t ever cut corners by trying to save yourself a buck as it can cost you hundreds in repairs; always read the cleaners before spraying them on your wheels. Custom wheels and tires are among some of the most expensive accessories that you will buy for your ride. The most important thing is that you should be an informed shopper and don’t jump into a set of wheels without doing a little research. So, arm yourself with as much information as possible before you drop major chips for those stylish new wheels. You’ll be less likely to have problems and you’ll be much happier down the road. We hope that the Guide that we’ve compiled helps you out with your wheel shopping. Picking The Right Wheels For Your RideA vehicle’s wheels and tires from the factory are designed to do the job, just like a good, sturdy pair of walking shoes and sweat socks. But we all know that we aren’t sensible shoes kind of people. 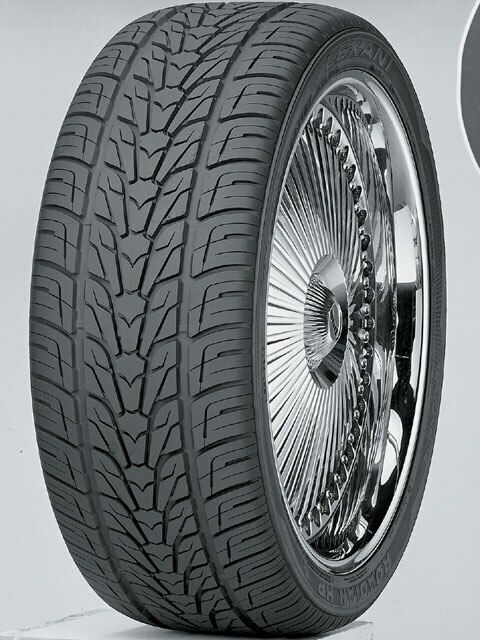 For most of us, slipping into a set of wire wheels with 5.20s, or plus-size chrome, polished or colored rims with matching low-profile tires is the definitive fashion statement for our rides. The number of wheel and tire choices available these days can be overwhelming. The only thing that’s getting harder and harder to do is find a good tire for your wire wheel as most of our favorite tires are disappearing. The reason is that OEM manufacturers are turning there back on the smaller tires and are looking at the benefits of plus sizes. Most of today’s manufacturers are building their cars with stock 15-inch wheels as these wheels improve the handling, making the 13- and 14-inch wheel obsolete. If you love your radials the way we love our 5.20s, you should probably stock up a set until the tire industry figures out what they’re going to do with our classic cars or until somebody steps to the plate to fill the void. Now let us help you pick the right wheel for your ride with our 2008 Tire and Wheel Guide. Devino Road Concepts has gone Timeless, and that’s just one of their new FWD 20- to 22-inch wheels designed for your custom ride. Find the time to log onto www.devinoroadconcepts.com. 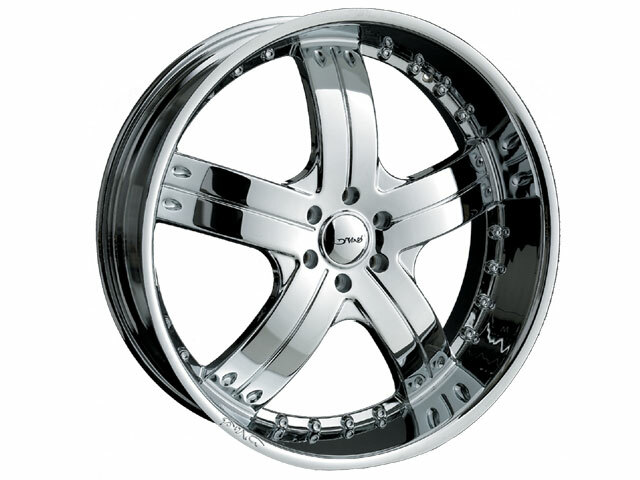 Strada’s Faccia wheel is available in 20- and 22-inch sizes and with a chrome finish. Study up on Strada wheels at www.stradawheels.com. 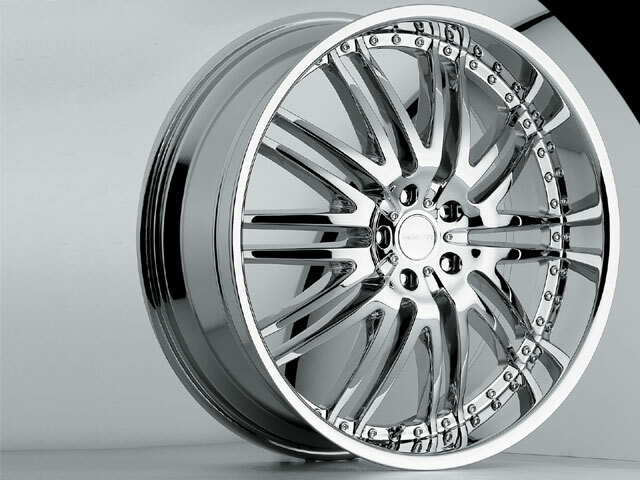 Royalty Luxury Alloys has introduced the industry’s first wheel with an 11-inch lip. The appropriately dubbed “Masterpiece” is a one-piece cast wheel whose lip extends as long as the width of the wheel. New patent pending wheel-developing technology and techniques have allowed RLA to be the only line of wheels that can bring you these never-before-seen creations! Sizes range from 20- to 26-inch. Become a member of royalty at www.royaltyluxuryalloys.com. Got Game? Bigg Wheels’ Game wheel was designed for SUV and truck applications in 20-, 22- and 24-inch sizes. See if you’re big enough at www.biggwheels.com. 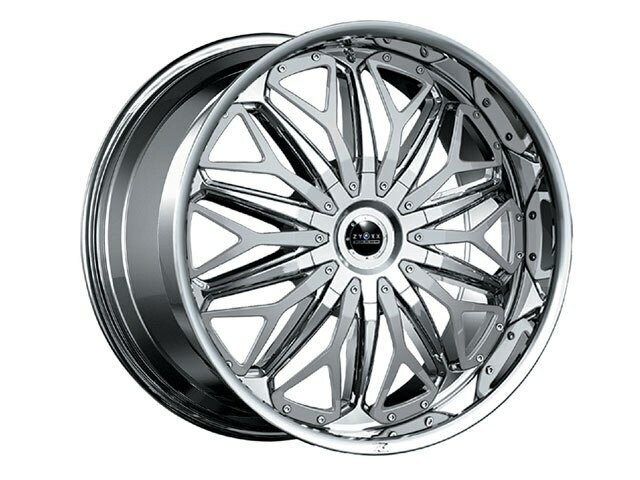 The Graziano from Donz Wheelz is a three-piece wheel available in the following sizes: 19×8.5-19×13, 20×8.5-20×13, 22×8.5-22×13, 24×8.5-24×13 and can be custom built to any vehicle. Finishes include chrome, black, brushed and polished with custom finishes available. 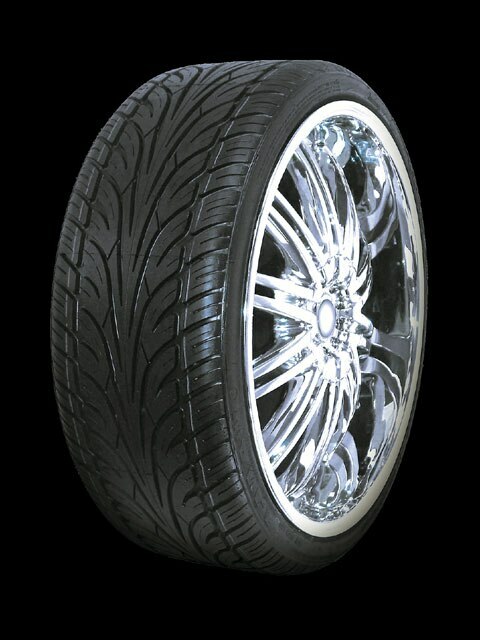 Hit up www.donzwheelz.com. 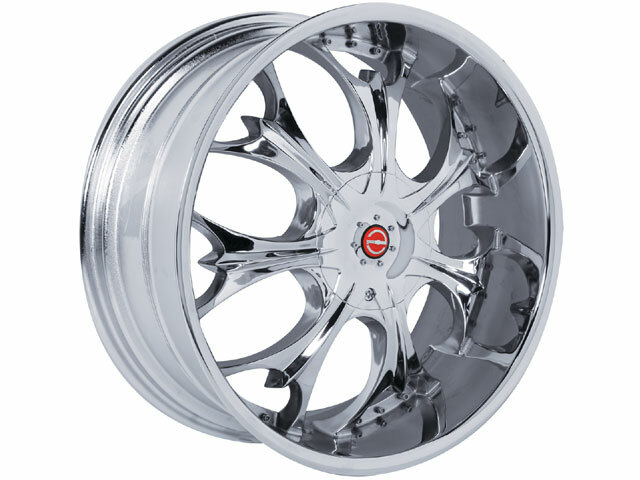 ICCE Wheels’ Celsius is available in the following sizes: 19×8.5, 20×8.5, 22×8.5, 22×10, 24×10, 26×10, and with a chrome or black with chrome lip finish. Staggered fitments available with applications for cars, truck and SUVs. Increase the heat at www.iccewheels.com. 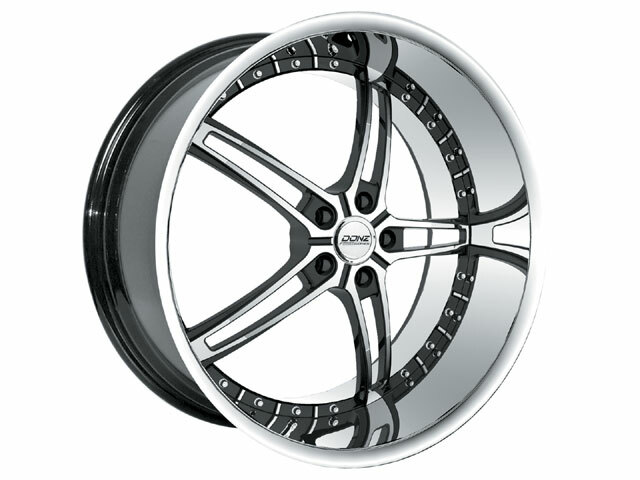 The Modena from Moz Forged Luxury Wheels is available in 19-, 20-, 22- and 24-inch sizes, and with a black diamond finish. To learn more about this and other Moz Wheels mosey over to www.sportruxwheels.com. 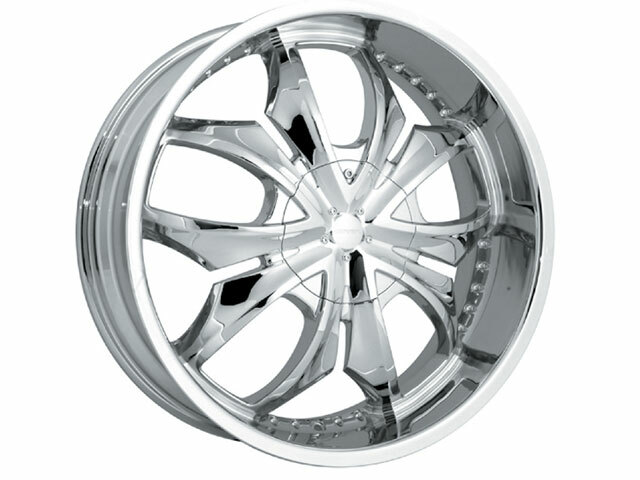 Platinum Wheels’ Monolith is available with a chrome finish and is designed for RWD vehicles in 20×9 and 22×9.5 sizes. 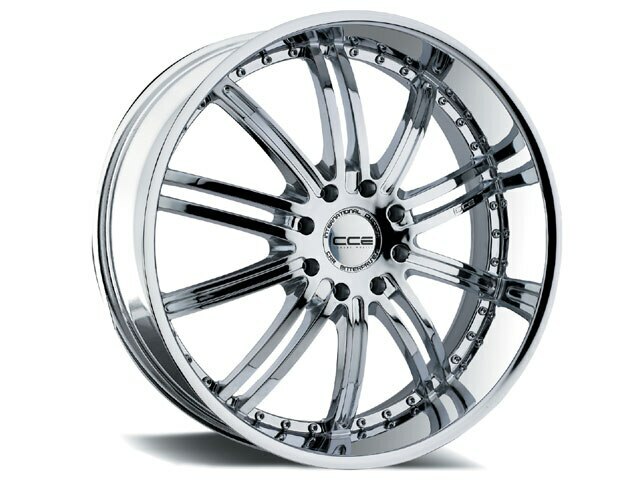 Dig up more info on Platinum Wheels at www.ultrawheel.com. 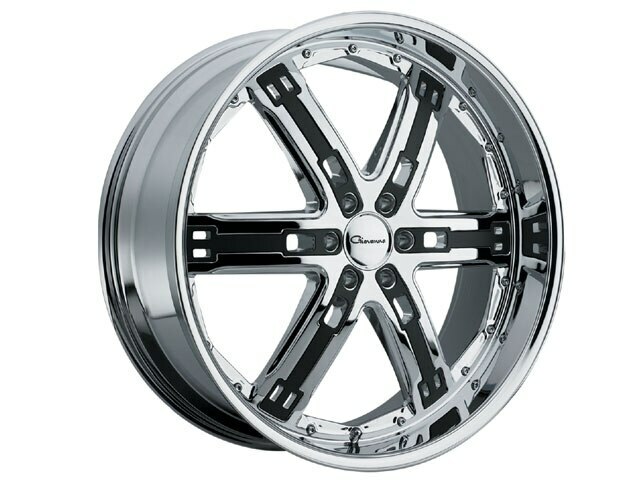 The Phoenix from Rennen Wheels fits 18×7.5, 20×8.5, 20×10 and 22×9.5 FWD/RWD cars and SUVs. Staggered fitments are available and the wheels can be drilled to fit your needs. Finishes include chrome, black or silver with a chrome lip. Remember to log onto www.renneninternational.com. The Edge from Rox Wheels is designed for 20- to 22-inch SUV applications. 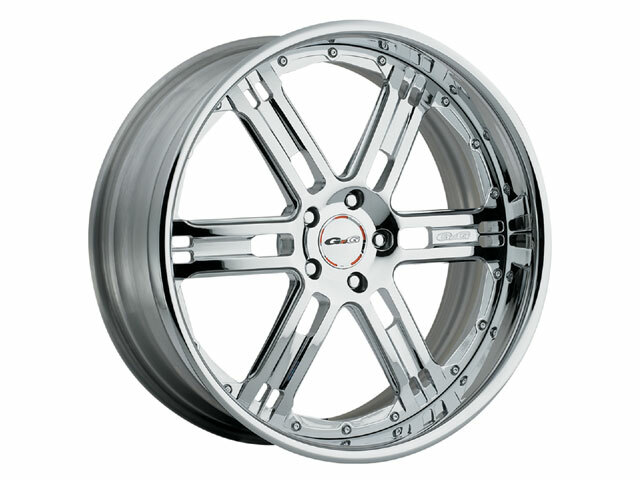 Get the scoop on Rox Wheels at www.roxwheels.com. The Goliath from Ultra is available in the 17×8, 18×9, 20×9, 22×9.5 and 24×10 sizes. 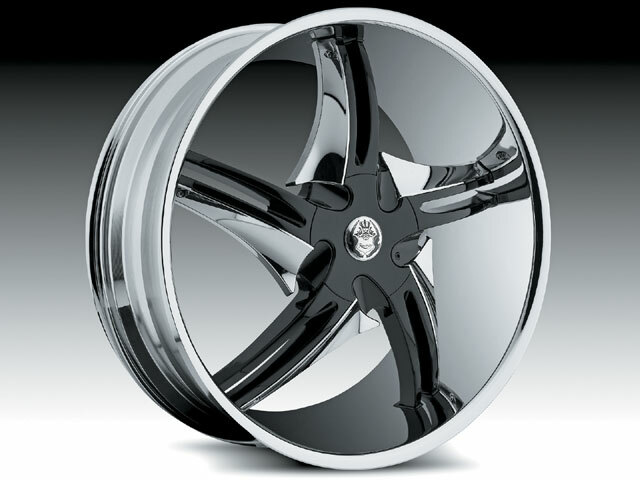 This RWD wheel is available in chrome and matte black. 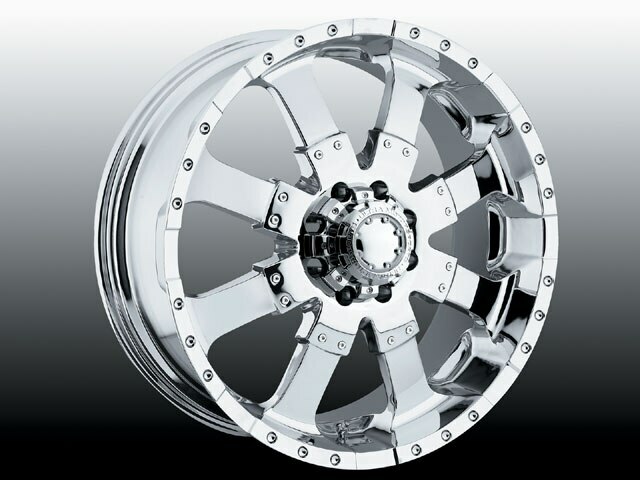 The full Ultra line can be found at www.ultrawheel.com. 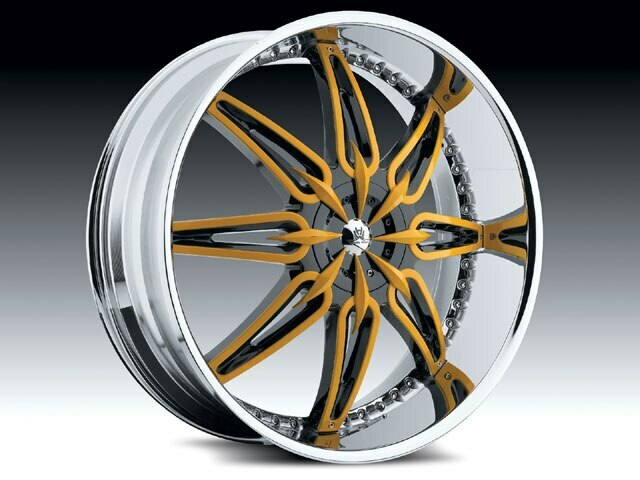 The Barcelona from Giovanna Wheels is made for your luxury SUV and is being featured in chrome with black trim. To learn more about specs and applications visit www.wtwcorp.com. The Baghdad 6 from GFG is available in 22-, 24- and 26-inch size applications for your six-lug SUV. To learn more about specs and applications visit www.wtwcorp.com. The 215 DBL G wheel is the latest addition to the DBL family. 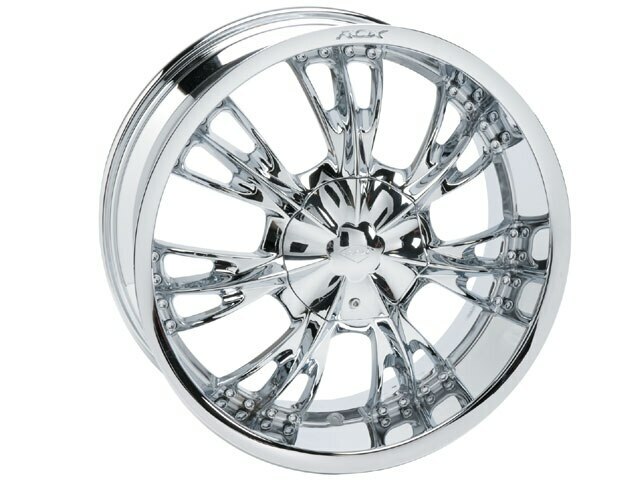 This chrome wheel is available in several sizes. To learn more about specs and applications visit www.wtwcorp.com. 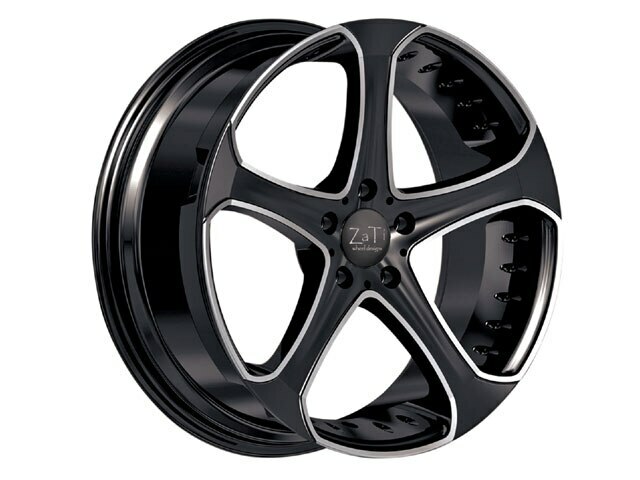 Mizati Luxury Alloy Wheels, Inc., a distributor of high-quality luxury alloy wheels for passenger cars, sport utility vehicles, vans and light trucks, has launched five new designs for 2008. Keep an eye out for the sleek new Galan design (under the Zati line) with five spokes and a staggered look. It is sure to turn heads. The Galan is available in full chrome, black with brushed aluminum, and silver with brushed aluminum around the spokes and outer face. 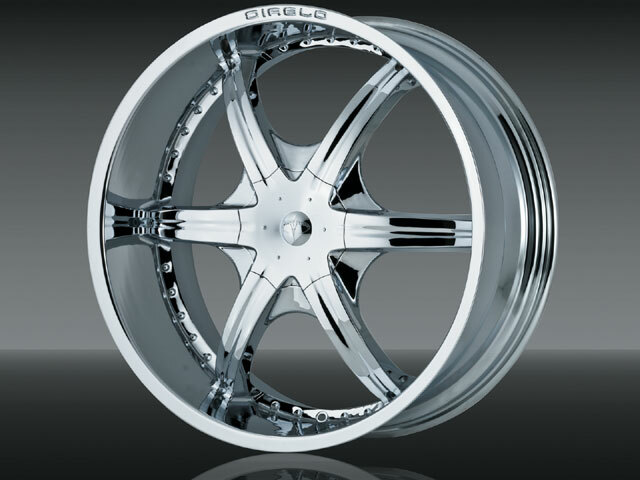 It is offered in 19- and 20-inch sizes with staggered fitments of 20X8.5/20X10 and 19X8.5/19X9.5. It is available in Lexus, BMW and Mercedes fitments and offsets. In addition, there will be other fitments as well for Mustangs and Chryslers. 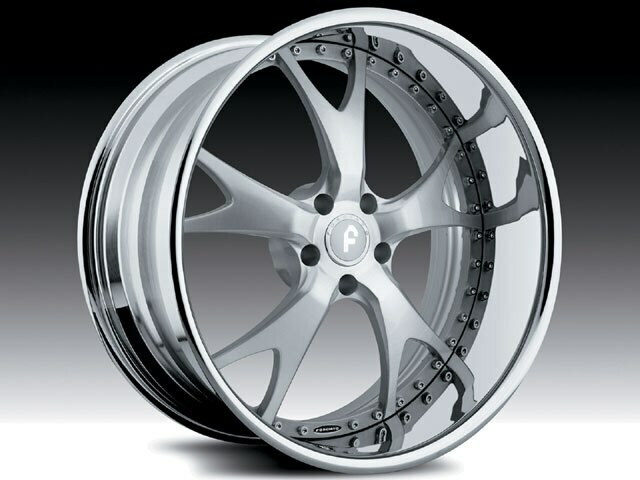 Look out for other sizes and fitments to be offered in the future by visiting www.mizatiwheels.com. The Wanli S-1089 is an ultra-high-performance tire designed for all types of large-diameter fitments on both cars and luxury SUVs. This is a tire designed only for those wanting an exclusive large rim size. You won’t find any 17-inch or original equipment tires in the S-1089 range. The unique tread design offers a comfortable and responsive ride. The S-1089 is available in low profile sizes ranging from 20- through 26-inch rim diameters. For more information on the Wanli Free Replacement Warranty and the S-1089, visit www.wanliperformancetire.com. The Wanli S-1098 is a high-performance tire designed for most SUVs and light trucks. 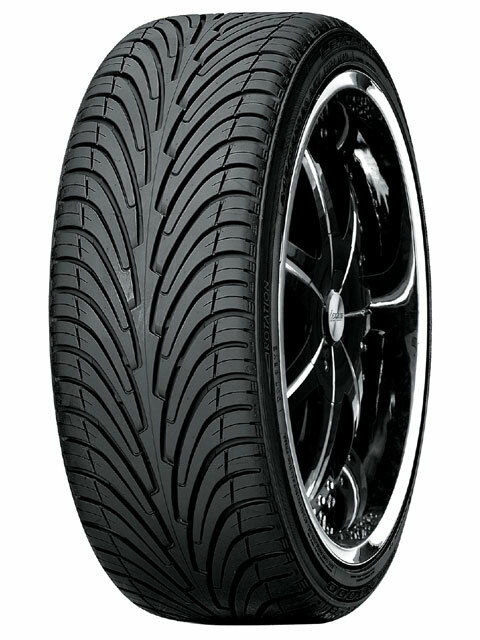 The S-1098 is available in low profile sizes ranging from 20- through 24-inch tire diameters. The S-1098 is the tire of choice for converting your SUV to the large diameter, low profile tire look. With the S-1098, most truck owners can convert from the small factory wheel and tire to a true performance package and enhance the truck’s handling and appearance. For more information on the Wanli Free Replacement Warranty and the S-1098, visit www.wanliperformancetire.com. The Wanli S-1088 is an ultra-high-performance tire designed for plus size performance applications. The S-1088 is available for 17- through 22-inch rim diameters with low profile aspect ratios of 30-50 series. For more information on the Wanli Free Replacement Warranty and the S-1088, visit www.wanliperformancetire.com. The Lexani N3000 is an ultra-high-performance (UHP) tire designed for superior performance without sacrificing ride quality. With fitments for the curve-carving tuner to the street cruising sedan, the Lexani N3000 is the tire for your performance car. Available in low profile sizes for 17- through 24-inch sizes, the Lexani N3000 is the ultimate in luxury, performance and style. For more information on the Lexani Free Replacement Warranty and the N3000, visit www.lexanitires.com. Performance tires are not just for cars. The Lexani Roadian HP high-performance tire is designed for luxury sport utility vehicles and light trucks. The Roadian provides the performance that a sport utility vehicle requires. 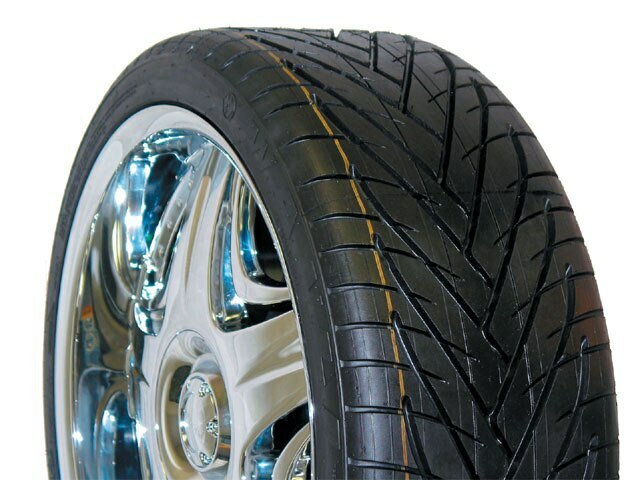 This means that the tire can deliver a quiet and smooth ride along with high-speed stability and high-grip cornering. The Roadian is available in low profile sizes for 20-, 22- and 24-inch fitments. For more information on the Lexani Free Replacement Warranty and the N3000, visit www.lexanitires.com. 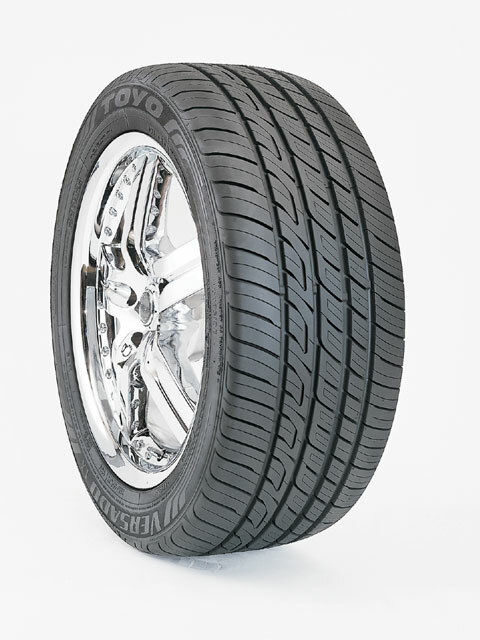 Toyo’s Versado LX is a premium all-season tire for the luxury car market. It features Toyo’s innovative Silent Wall design with densely packed serrations along four circumferential grooves to minimize noise. 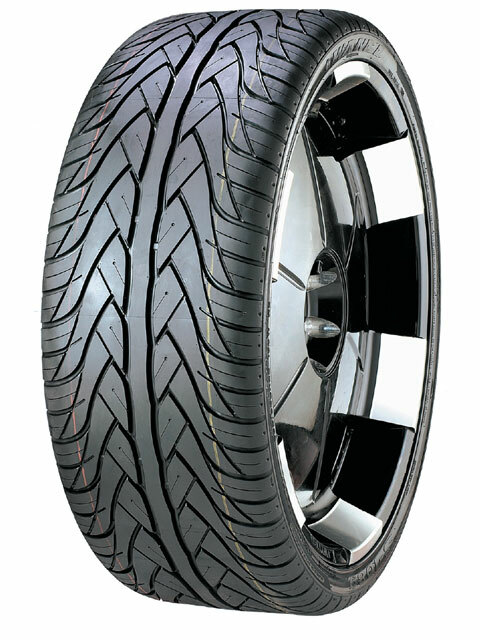 A non-directional, asymmetric tread with a computer-optimized casing helps to provide a more comfortable ride. Available in 15-, 16-, 17-, and 18-inch rim diameters. Widths range from 195 to 255mm with 70 down to 45-series profiles. To learn more log onto www.toyo.com. Coker was been very successful with the launch of the ever-popular premium 5.20 tires, which are available in 13- or 14-inch applications, and with a 5/8- or 13/8-inch whitewall. Get stoked at www.cokertire.com.